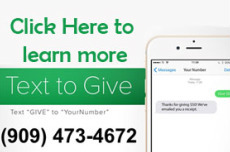 As a part of our commitment to stay on the cutting edge of technology, we are making the switch to a new giving system which will impact members who give via "Online" and "Text to Give" (909) 473-4672. This new system will be connected to our Office application called, "BREEZE" which will help simplify the management process. 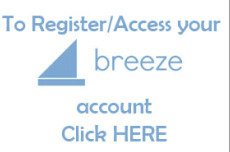 Therefore, please ensure you are registered on "BREEZE" and your account is up-to-date. Click HERE to access your "BREEZE" Profile. Click HERE to create a "BREEZE" Profile. Your "Breeze Profile" will allow you to update your personal information and review and print your own giving donations.